Soul Mate Spell to Attract a Soulmate. 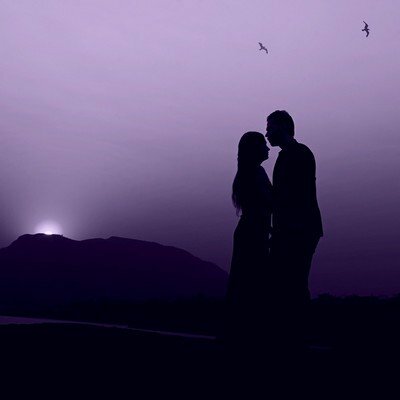 Having a Soul Mate Spell cast is perhaps the easiest and most effective way to attract a Soul Mate to enter your life, transform and enhance it. Soul Mate Spells that work with the Law of Attraction are known to be very powerful and enable your wish or desire to be sent to the Universe swiftly and effectively. We all have a true Soul Mate somewhere out there. Someone who will love us for who we are – faults and all. Someone who will respect and honour us equally and will stay faithful, loving and generous of their time and energy. Someone you feel an instant attraction and connection to and a knowing that they are "the one". The trouble is attracting your Soul Mate can be very difficult if not impossible. So a Soul Mate Spell cast by me could really help with this. A good example of how fast a Spell to attract a Soul Mate can work is a client of mine from Georgia, USA. Aubrey had been let down by a string of men, but after having a Soul Mate Spell cast, within a week, she met up with an old school friend who'd come back to the neighbourhood. This opened the floodgates of old feelings and they are planning a wedding next year - her true soul mate discovered! I'd love to help you attract a Soul Mate too. Here I'm offering you the opportunity to have me, Alizon – experienced and expert White Witch and Spell Caster, cast personally for you a powerful Spell to attract a Soul Mate. Your Spell will be cast in love and light, with harm to none and abiding by the Law of Attraction. It cannot backfire and does not bend the will of anyone. 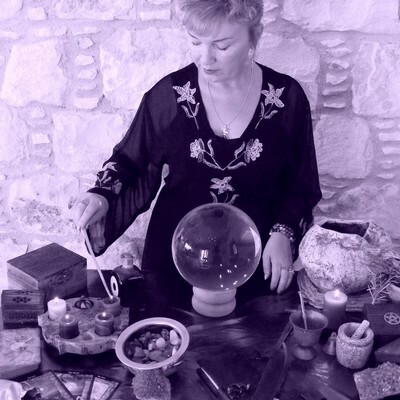 I personally guarantee that I will give a 100% effort using all my expertise and experience and do my utmost to cast a successful Spell to get the real results you want, with harm to none. My soulmate Spells are formulated, personalised and expertly cast by me using the relevant and appropriate ingredients to aid speedy manifestation. Any attraction Spells cast by me are positive and are cast with love and light. This Soul Mate Spell Spell is designed to help you locate, meet and form a loving and lasting relationship with a true soul mate. To be in a loving partnership is an entirely natural desire but for so many this simple wish eludes them. Don't waste another second just hoping and wishing that you can attract your true soul mate to you. Take action now and make your dream a realty. Just imagine how you'll feel to have a true, loving, faithful and strong relationship with your perfect partner. It is always difficult to attract a soul mate. Sometimes we can spend years before being lucky enough to meet The One. And, worse still, some people live their entire lives without experiencing the sheer joy of a perfect love that only a true soul mate brings. We are not meant to be lonely and live our lives just hoping that we'll somehow find our soul mate. If you are fed up of being lonely, only meeting the wrong people or not meeting anyone at all then you need to take action. If you truly want a loving, lasting, committed and equal love partnership with a true soul mate then take affirmative action now! Ask me to cast your personal, private and confidential Attract a Soul Mate Spell now and I will cast it within 24 hours! To feel cherished and adored limitlessly? To know you can rely on them to always be there? To have a perfect lover whose sole aim is to please you? To feel secure, stable and loved unconditionally? To know you have shared hopes and dreams? To hear the words "I love you" and know they are heartfelt? To enjoy being the centre of their world? To know you are loved, admired and respected? To travel through life onwards with your perfect match? To feel confident, complete and content? To know they will never disrespect you by being unfaithful? We all have a true Soul Mate somewhere out there. Someone who will love us for who we are – faults and all. Someone who will respect and honour us equally and will stay faithful, loving and generous of their time and energy. The trouble is attracting your Soul Mate can be very difficult if not impossible. So a Spell cast by me is the obvious solution. Positive energy is very important if you are to live an abundant and prosperous life and build up good karma. A great way to do this is by undertaking some charity work.